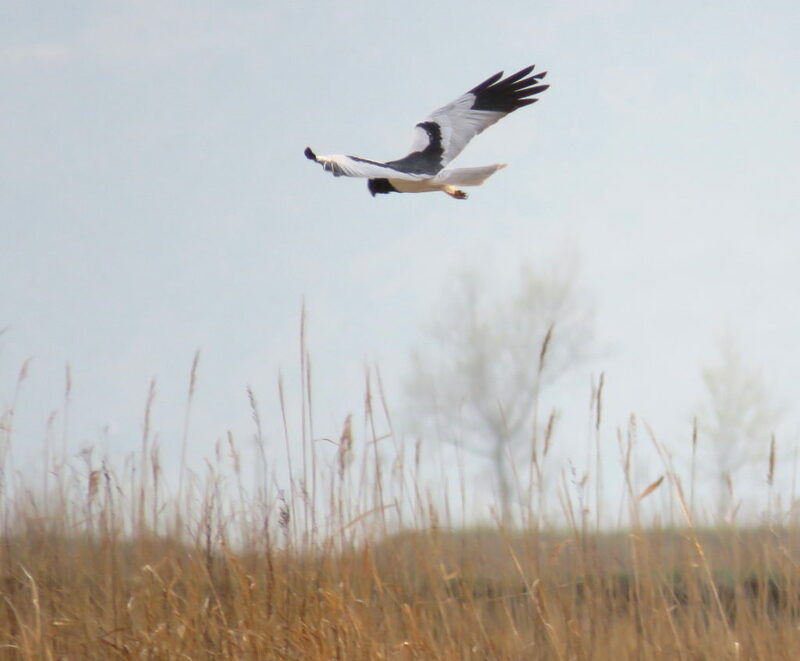 This was the fourth bird survey in Rason, following on from the HSF-UNESCAP survey in March 2014; and the HSF-Birds Korea surveys in July and November 2016. Despite the greatly heightened regional tension and a shortage of car fuel caused by tightening sanctions and often poor weather, we recorded 145 bird species in total. Eighteen (or nineteen) of these are additional to those previously traced for the Rason area (from our surveys and from a review of literature available to us). 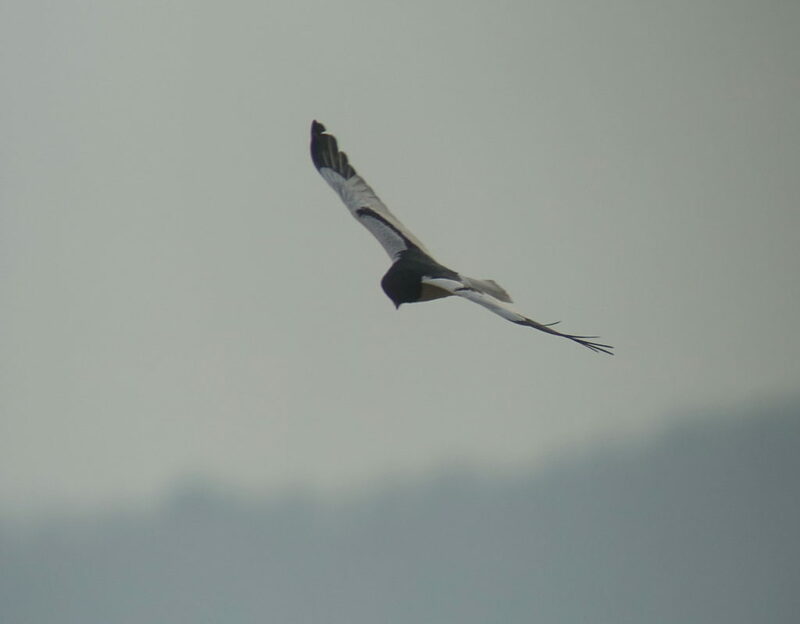 While every day had highlights – from excellent views of locally numerous species like Common Pheasant and Meadow and Black-faced Buntings to scarcities like Purple Heron and Pied Harrier – the 21st was especially notable, with 104 species noted and lots of visible movement over both the sea and land, including flocks of geese, two Western Osprey, single Grey-faced Buzzard, three species of harrier and good numbers of pipits, larks (both Eurasian and Far Eastern) and wagtails. Brant Goose Branta bernicla. 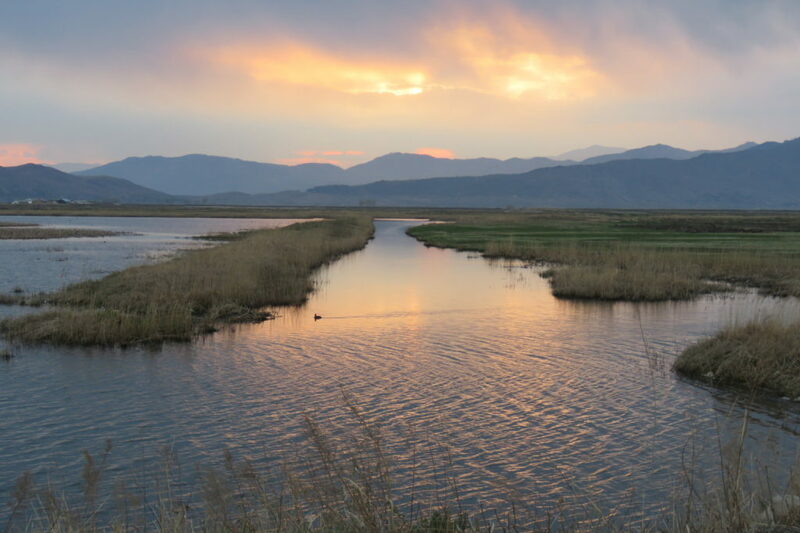 Twenty-one in the “Korean Tumen Delta” on the 23rd. Mute Swan Cygnus olor. One on Tonbongpo on the 21st (unlike in e.g. Japan, birds here are wild in origin). Harlequin Duck Histrionicus histrionicus. 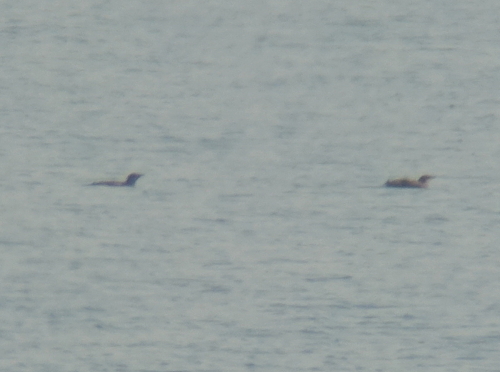 At least 150 were still present, with 140 of these around the offshore island of Alsom (translatable as “Egg Island”). Long-tailed Duck Clangula hyemalis. 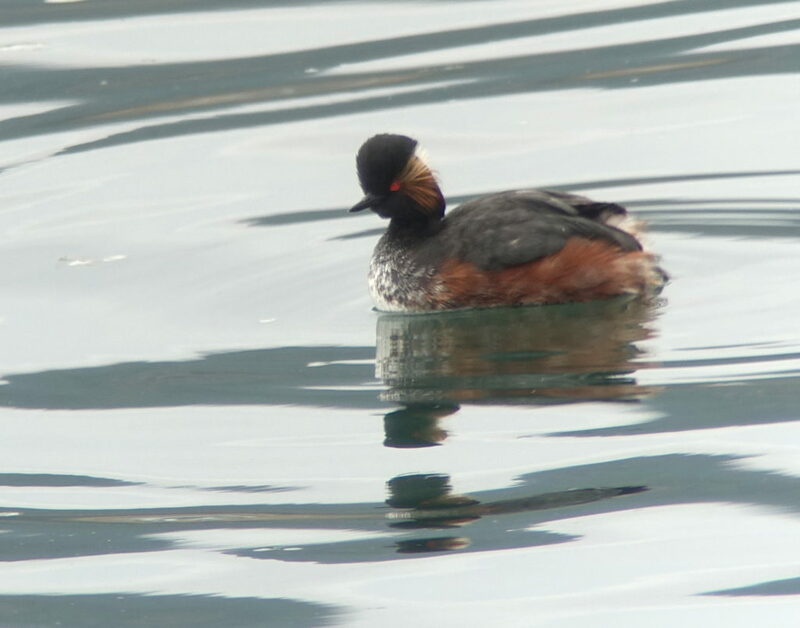 At least 195 were still present, with most of these in full breeding-plumage – and some actively displaying. Horned Grebe Podiceps auritus. 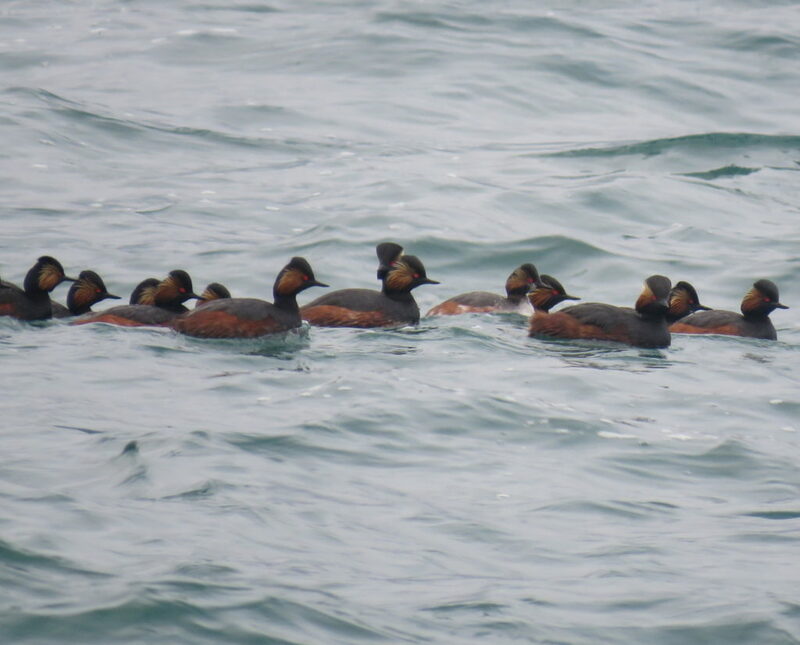 At least 344 – all in full breeding plumage – were found in one bay on the 23rd. This represents >1% of the regional population (Wetlands International 2017). Black-necked Grebe Podiceps nigricollis. 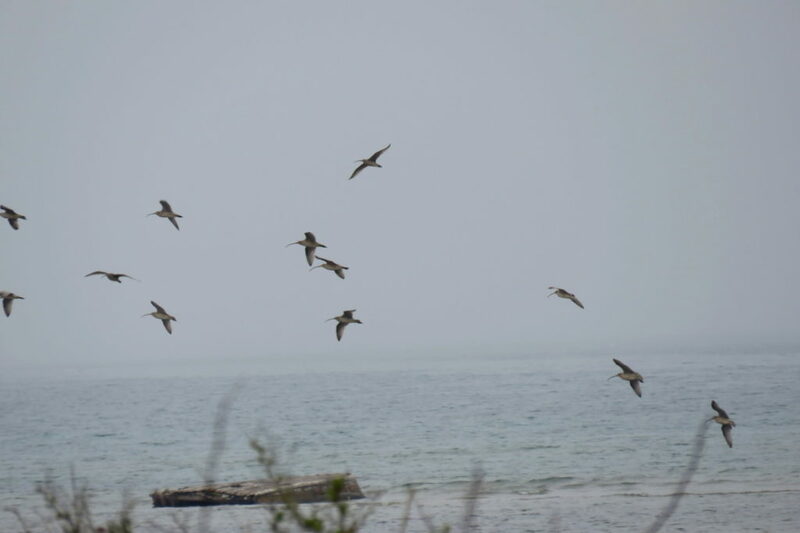 We counted at least 2,548 along only a small part of the coast, with several bays left unvisited due to lack of fuel and time even though they held large concentrations of this species in April 2016 (seen by BS when no formal survey was permitted). The number recorded during the present survey nonetheless represents >2.5% of the regional population of this species (Wetlands International 2017). Purple Heron Ardea purpurea. One on the 21st. Pelagic Cormorant Phalacrocorax pelagicus. Several were seen on nests on Alsom on 24th. 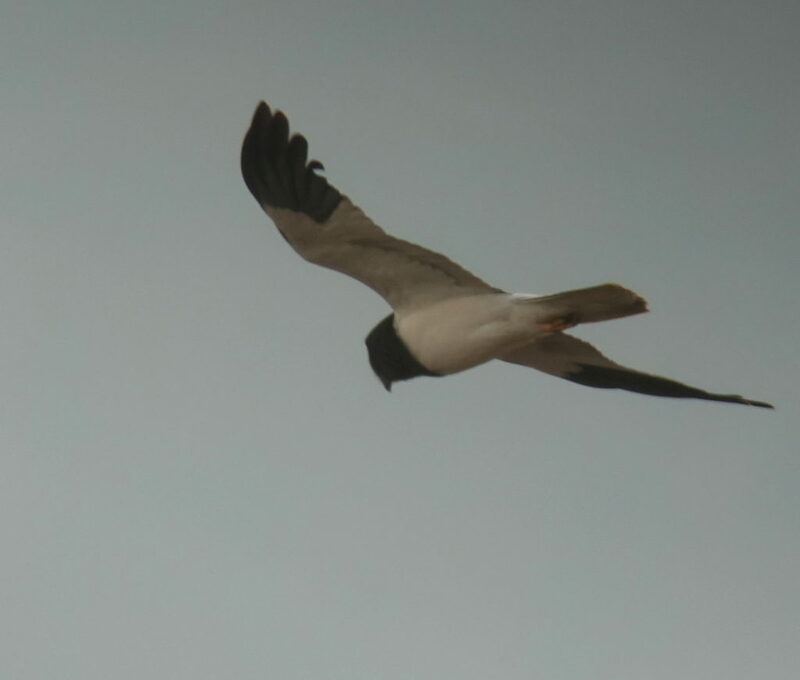 Pied Harrier Circus melanoleucos. A superb male was watched hunting over reed-fields and ditches on the 21st. Latham’s Snipe Gallinago hardwickii. One was flushed twice at close range on Pipa Islet on 23rd, with the identification based on the bird’s large size (suggesting Woodcock); pale coloration above (lacking grey tones); strong crown pattern suggesting contrast with paler “face”; paler bar across the upperwing coverts; and only weakly pale trail to the secondaries. However, with no photos and in consideration of the difficulties of snipe identification, the record is probably best considered as only “very probable”. 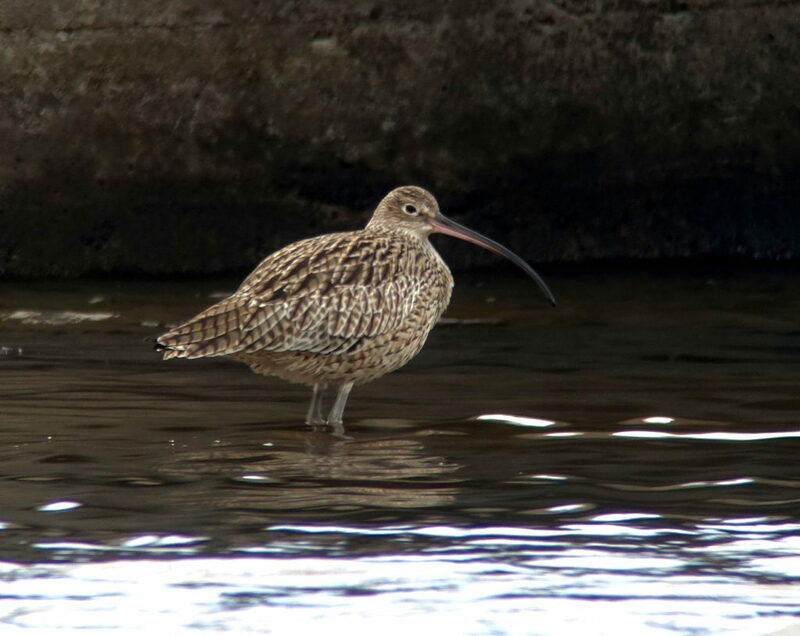 Far Eastern Curlew Numenius madagascariensis. In total, in three flocks with a few singles, we recorded 219 of this globally Endangered species. Relict Gull Ichthyaetus relictus. 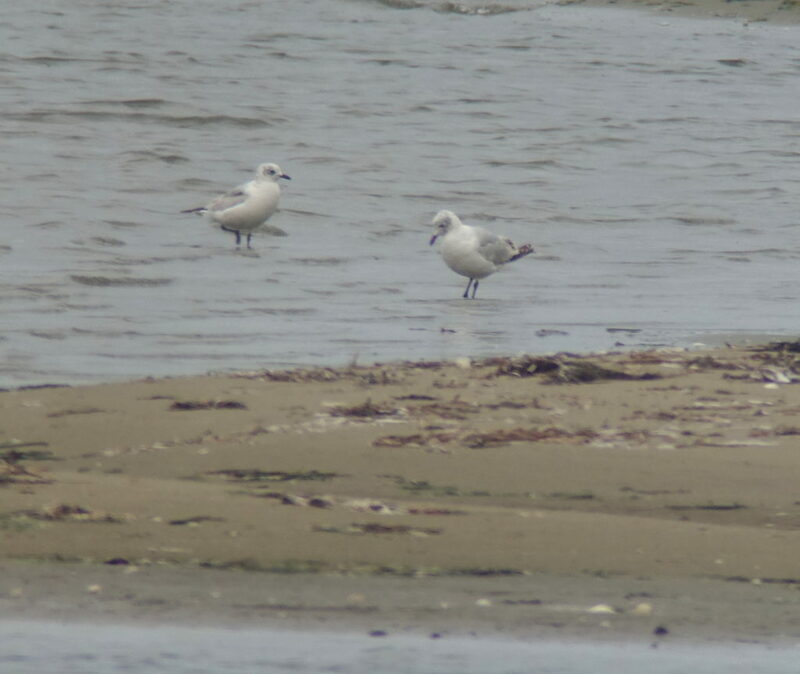 A breeding-plumaged adult was seen on the 21st; a presumed Second Calendar-year was glimpsed on a rivermouth sandbank in Sonbong on the 22nd; and three Second Calendar-years were photographed in the outer Tumen Delta on the 23rd – the only easily viewable intertidal-type wetland in Rason. Common Murre Uria aalge. 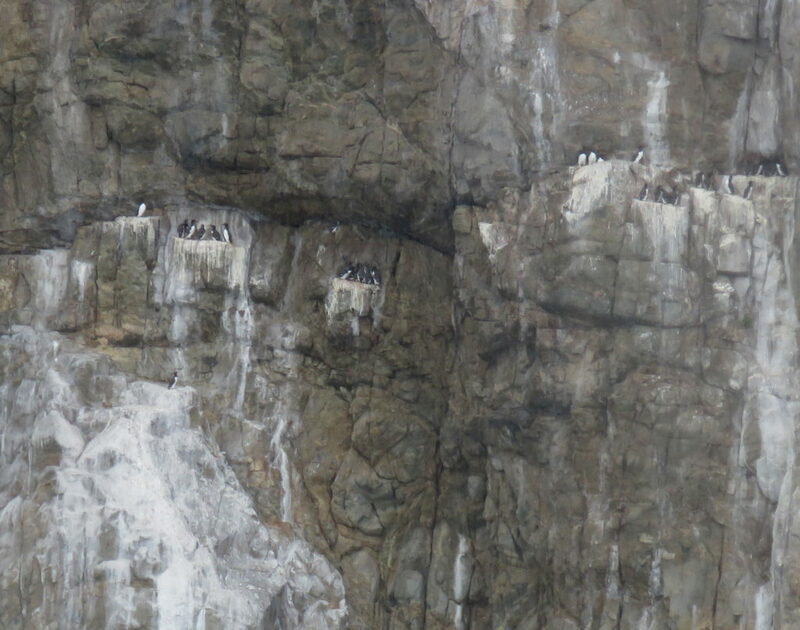 Approximately 340 were counted from the boat on the 24th – with about 200 of this total standing on cliff ledges on Alsom. 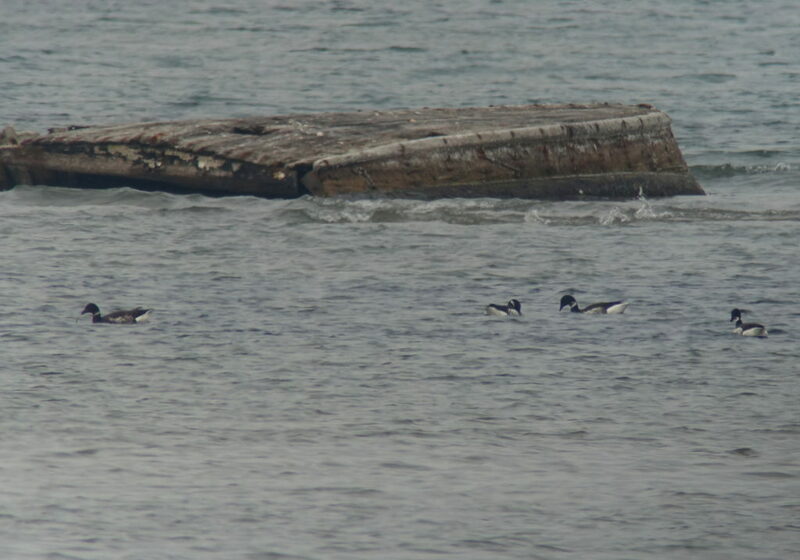 Spectacled Guillemot Cepphus carbo. 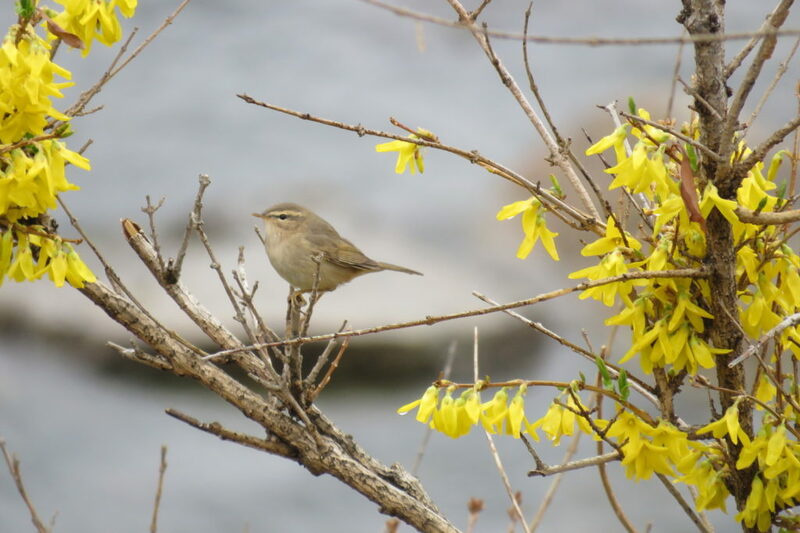 In total, 200+ were counted during the present survey, mostly around Alsom where a dozen or so birds were watched flying on to the cliffs and into rock-face crevices on the 24th. 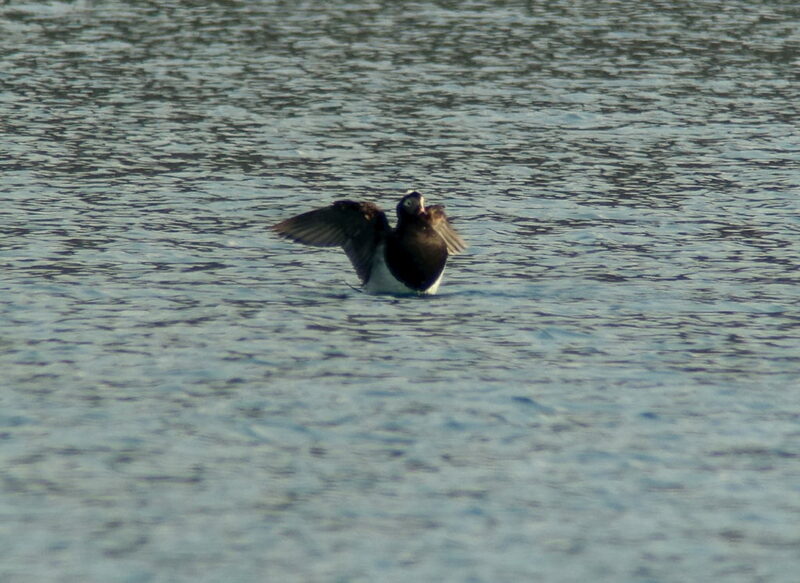 Long-billed Murrelet Brachyramphus perdix. Seen on three dates, with a total of 33 to 56 recorded in total. Most of these were in breeding plumage seen from the boat on the 24th, but included six in the bay by Pipa Islet on the 22nd. 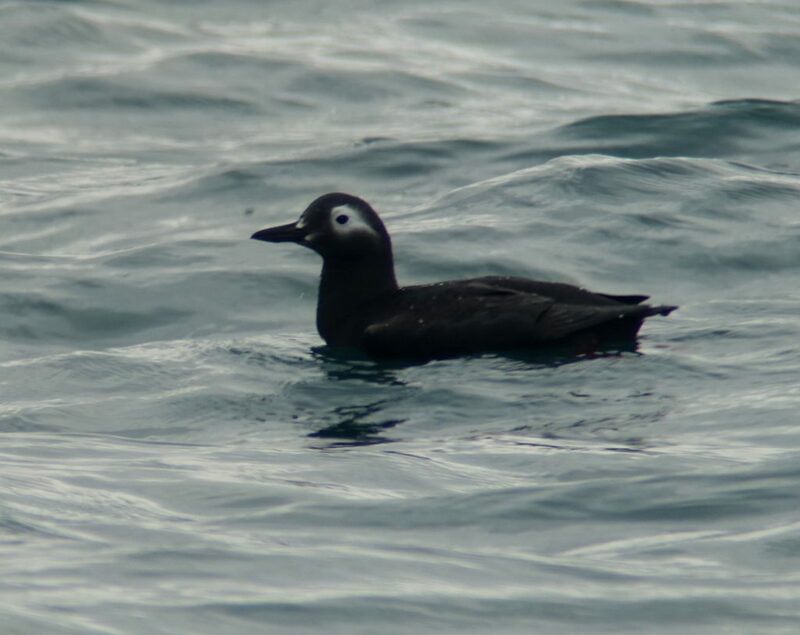 This is by far the largest concentration of this species in Korean waters recorded to date – and perhaps suggests local/near-local breeding (either in Rason or somewhere across the border in Russia). Common House Martin Delichon urbicum lagopodum. 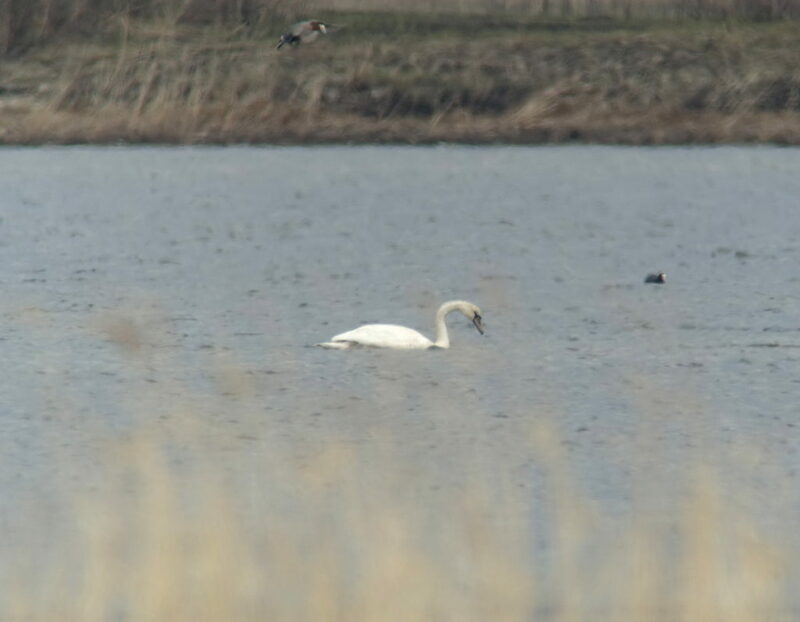 One was seen well at close range for 20-30 seconds in Rason on April 21st, 2017, with identification based on clean white underparts; very broad white rump band with white on the uppertail coverts; and a moderately notched tail. Dusky Warbler Phylloscopus fuscatus. One was heard on 23rd and one confiding bird was seen on Pipa Islet on the 24th. Pallas’s Leaf Warbler Phylloscopus proregulus. A total of 29+ were recorded during the present survey. Chinese Nuthatch Sitta villosa. Five were in the Pipa hills on the 22nd. 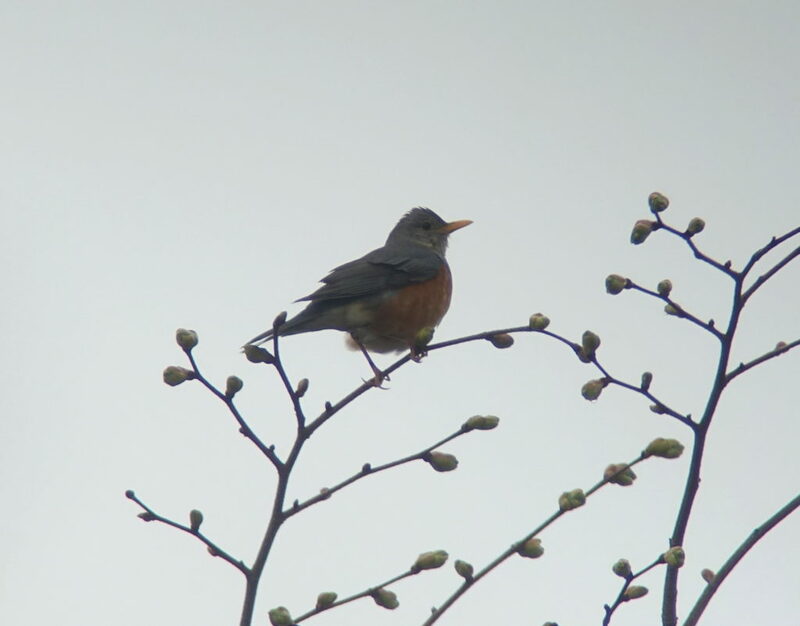 Grey-backed Thrush Turdus hortulorum. A total of 45+ were recorded during the present survey, with 26 on the 22nd the highest day count. Eastern Yellow Wagtail Motacilla tschutschensis. 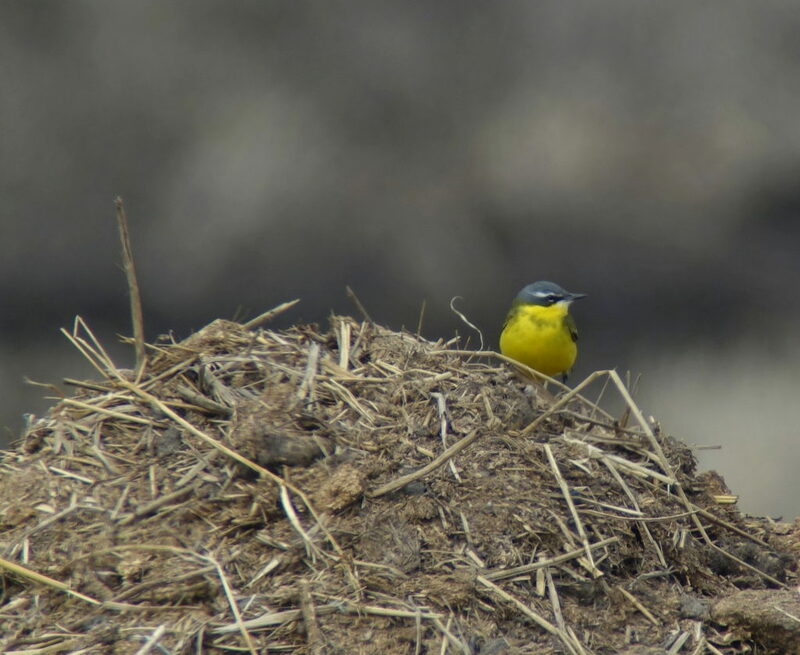 85+ were in fields west of Tongbonpo on the 21st, including one bird that looked to be a “plexa” (with most such birds now considered to be Western Yellow Wagtail). Tomek (2002) only traced ~4 records of “Yellow Wagtail” since 1980. 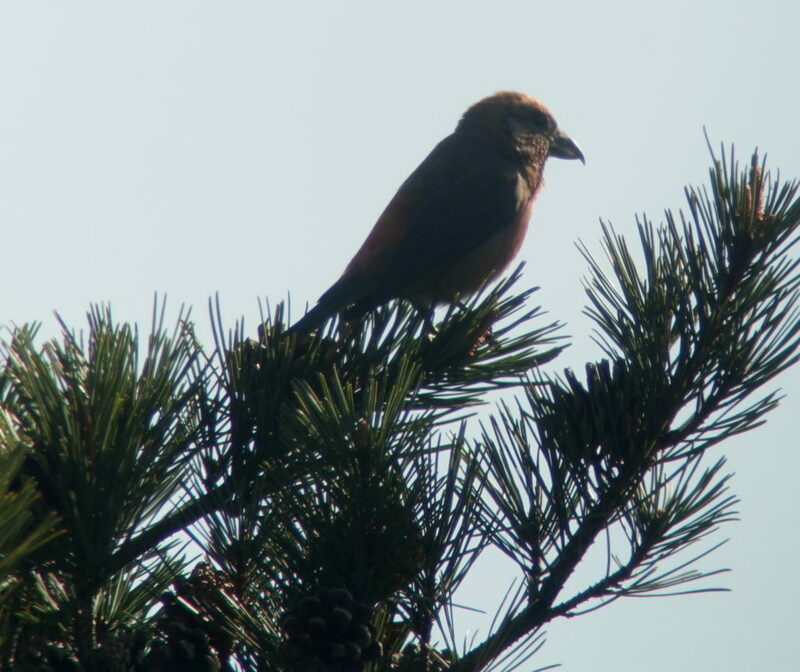 Red Crossbill Loxia curvirostra. 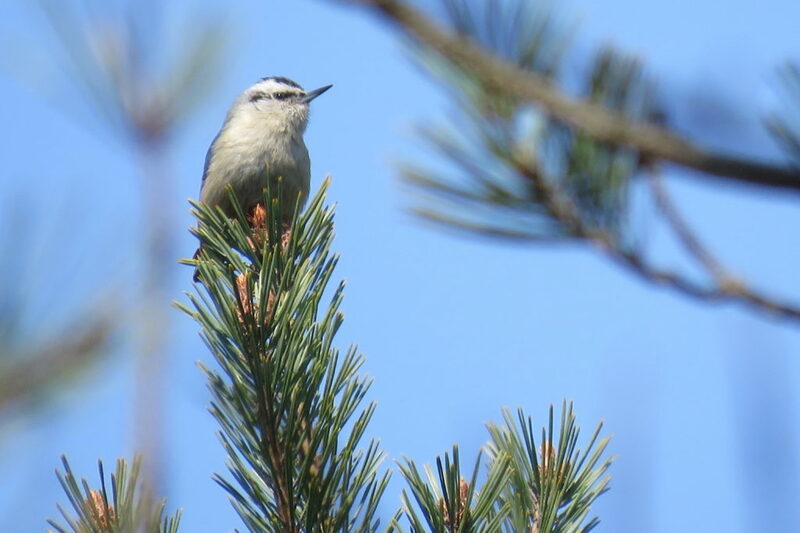 We found a total of 35, including several apparent pairs, and heard two males in song. Grey Bunting Emberiza variabilis. Two (or more?) were heard calling in forest in the Pipa hills on the 22nd.